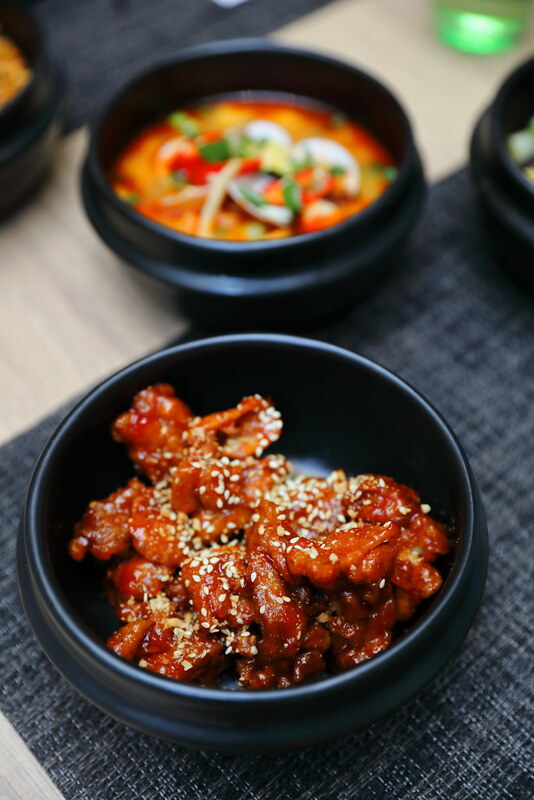 For a limited period from 15 March to 28 April 2019, Sky22 at Courtyard By Marriott Singapore Novena will be offering the Flavours of Korea buffet during the weekends. 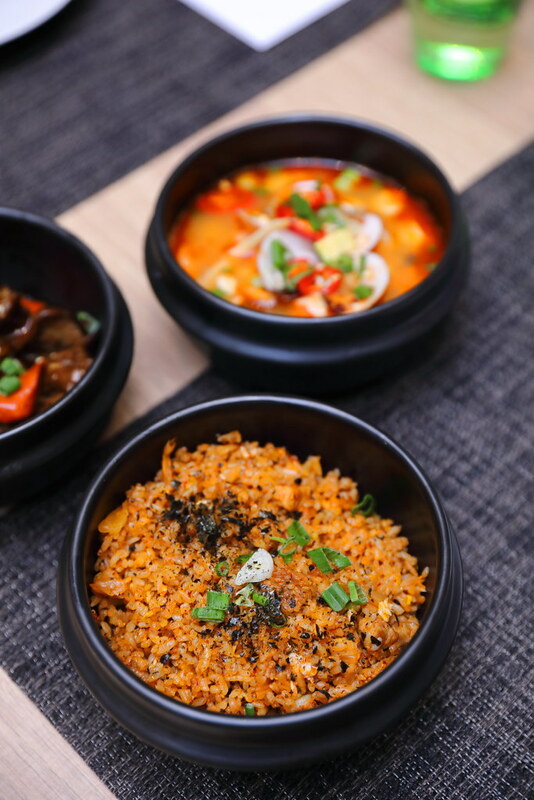 The Korean themed buffed is specially curated by their new South Korea Chef Hwang In Yong (Ian) and Executive Chef John Chye. 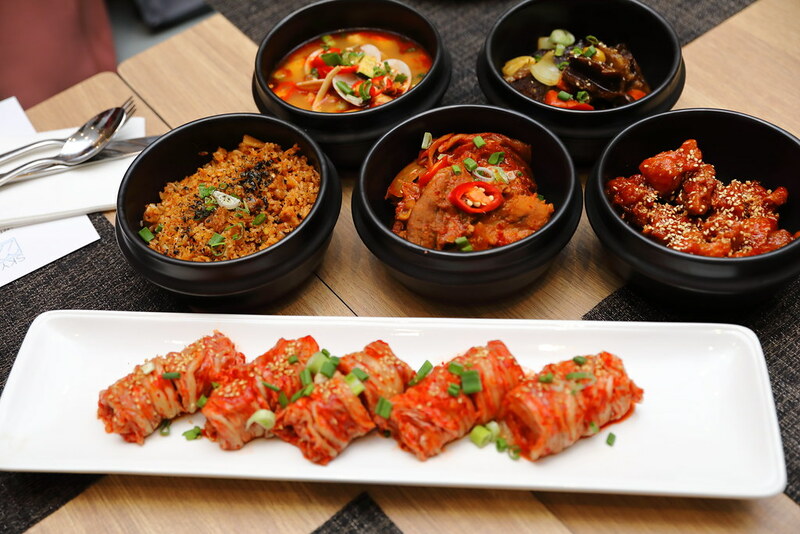 Guests will be in for a feast of Korean classics as well as popular Korean street foods. 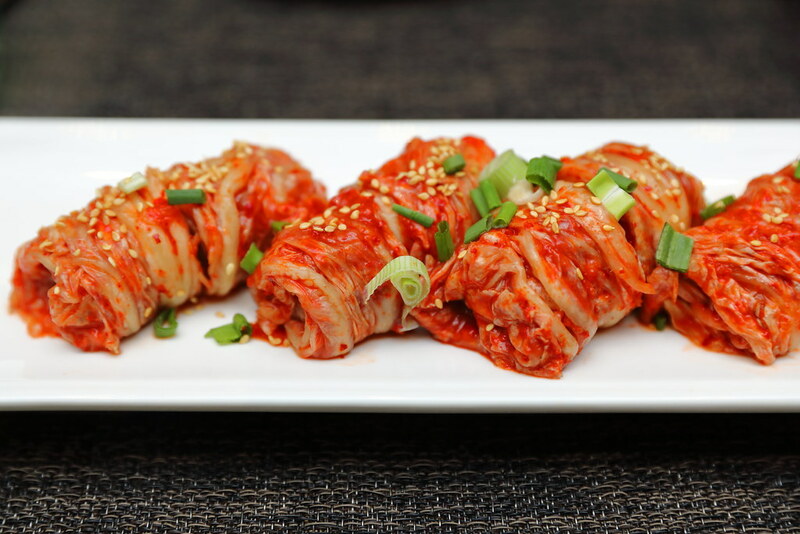 Not to be missed is the housemade Cabbage Kimchi, they are so good. 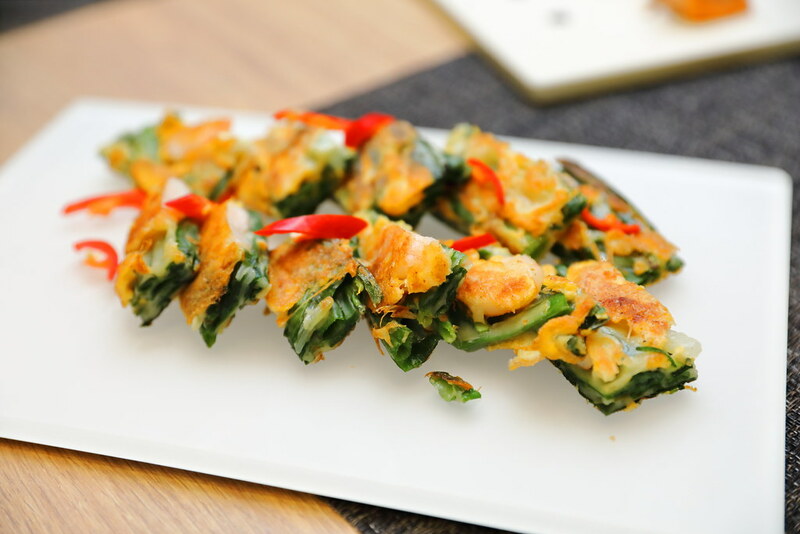 It has the right balance of sourish and spiciness on top of the crunchy texture. I was hoping that I can buy some of these to take home. While my group of diners love the Spicy Seafood Tofu Soup, I have different view. The flavour is there but I felt that it lacked the heat to match its description. I really hope it can be spicier. The Braised Short Ribs on the other hand was spot on. They were well infused in the sweet sauce with fall of the bone meat. A very delightful dish to go with some steamed rice. Unfortunately I could not taste the robustness of kimchi in the Kimchi Fried Rice. The chef definitely need to improve on the dish or it will be passed off as normal fried rice. 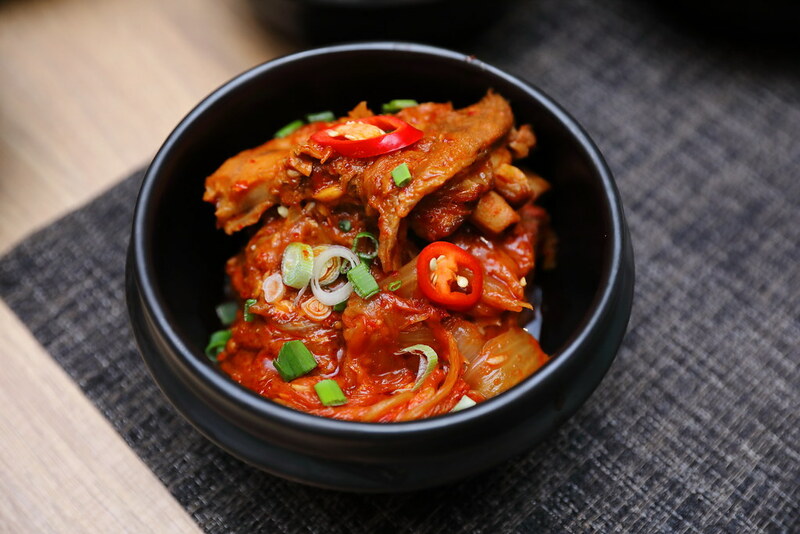 Contradicting to the kimchi fried rice, the Braised Kimchi Pork Ribs came across more flavourful with the distinct kimchi flavour. 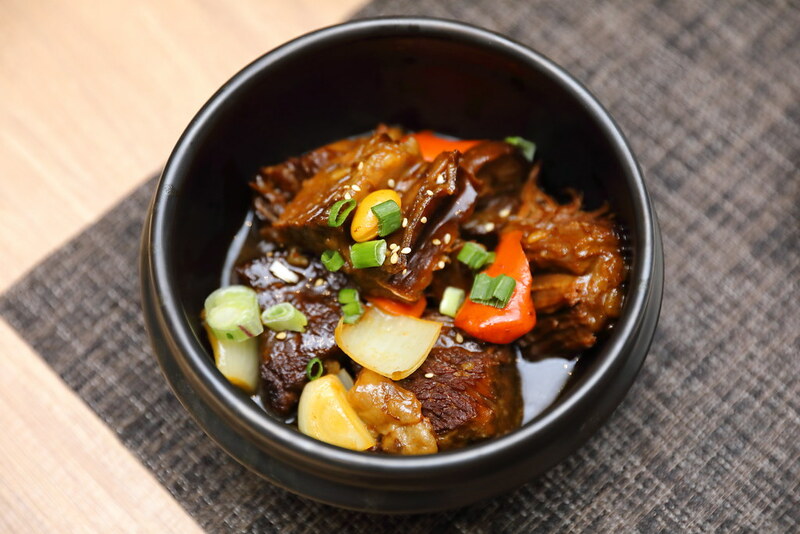 As for the braised pork, it can be more tender. I actually enjoyed snacking the Sweet and Spicy Deep Fried Chicken Cube. The chicken pieces are well coated with the sticky sweet and spicy sauce, fragrant with sesame seeds. Some of the diners felt that it is a bit dry but I actually like the slightly tough texture for that bite to chew on. 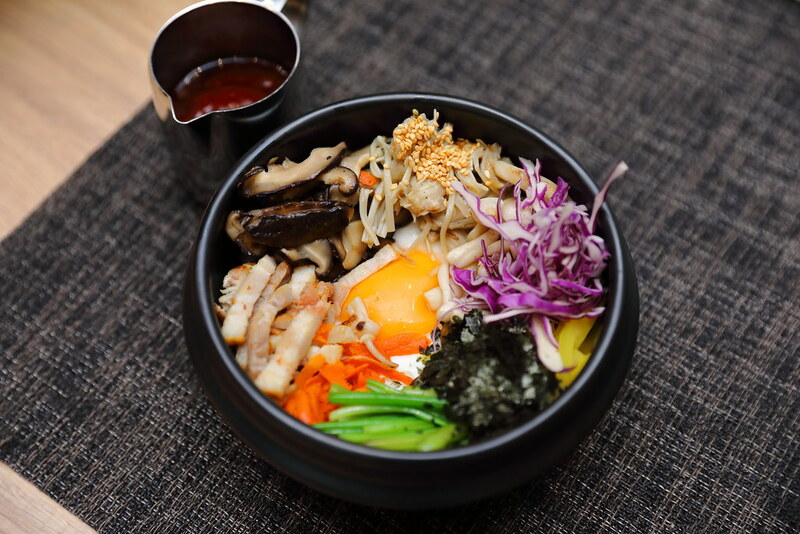 Diners at the Korean themed buffet can also have a little fun creating their own Bibimbap at the DIY Bibim Bar. Have some fun putting the bibimbap together. The food will always taste better when you make it yourself. I find the Vegetable Pancake will be subjective to individual liking. If you are not into greens than you will not like it. As for me I like the fact that there was not a lot of batter on the pancake, allowing me to appreciate the greens. 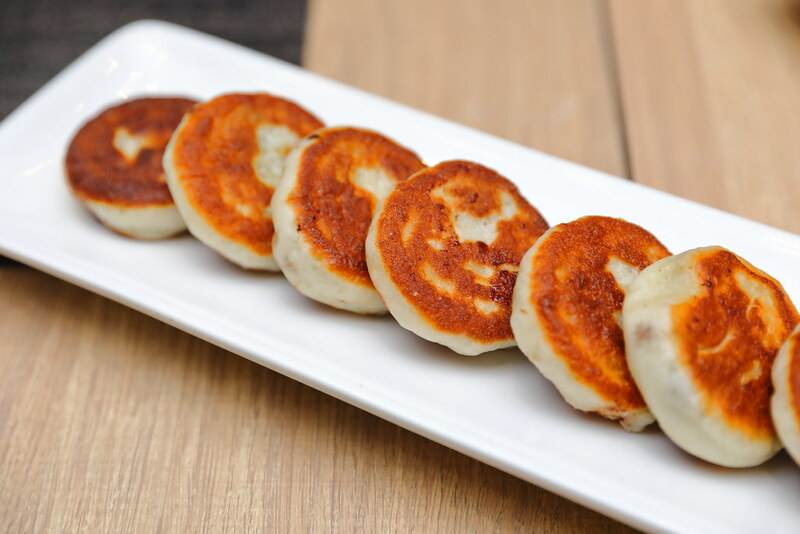 Complete the feast on a sweet note with Korean desserts such as Rice Cakes, Chestnut Balls and Sweet Pancakes. 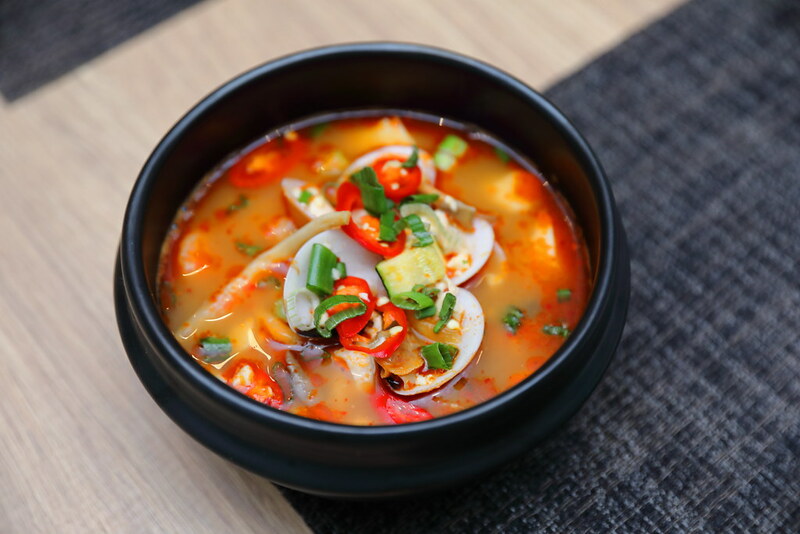 For the buffet spread, on top of the Korean delights, there are also a myriad of seafood from the steam & grill seafood bar to complement the spread. - Add $28++ per pax for free flow house pour red & white wine, prosecco, soft drinks. - Add $12+ per pax for free flow soft drinks and juices.